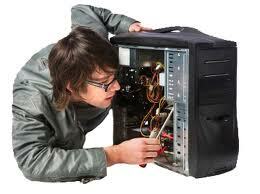 We repair all laptops and desktops, (out of warranty) including Macs. During this stage we will thoroughly analyze the computer for both hardware and software. If a virus is suspected an initial scan will be performed. This is pertaining to the time our technician spends on the repairs, virus scans will not be counted as time toward the repair. Our general turn-around time is 24-48 hours.